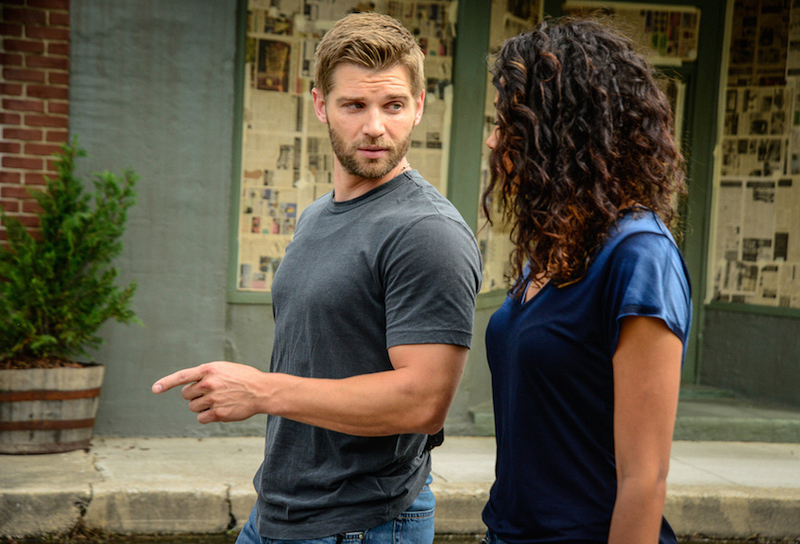 Mike Vogel as Dale "Barbie" Barbara and Kylie Bunbury as Eva Sinclair. On Under The Dome's "Caged", Big Jim is captured by Aktaion, the dangerous private corporation that's descended on Chester's Mill to harness the Dome's energy capabilities. He's forced to manipulate Christine (Marg Helgenberger) for information about her agenda. Also, when Joe and Norrie question the town's new rules, they find themselves in a dangerous face-off with the increasingly unstable residents.